As the weather cools down here in Chicago, we wanted to give you one more boost of summer fun and warm weather vibes with this spectacularly bright styled shoot at Evanston Golf Club done by Kensington Florals & Events! 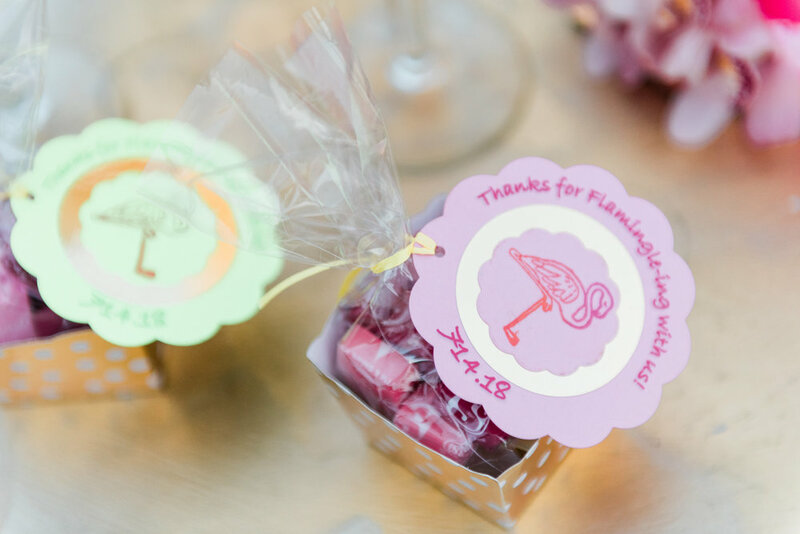 What better way to end summertime in Chicago with this vibrant Pineapple and Flamingo themed Bridal Shower during “the golden hour”. The floral arrangements included peonies, ranunculus, multi-toned anemones, delphinium that give us that lush summer vibe. We love the coordinating bright table clothes from BBJ Linen and gold pineapple crowns at each setting. Giving that stand out look against the lush greenery and dynamic mix of colors.